Custom printed ribbon is a great idea for events and openings, our promotional printed ribbon can boost your brand to clients, and staff as part of a gift hamper wrapping or to decorate an event or conference. Don't hesitate to contact us for a free quote & virtual mockup, we are on standby to assist you! 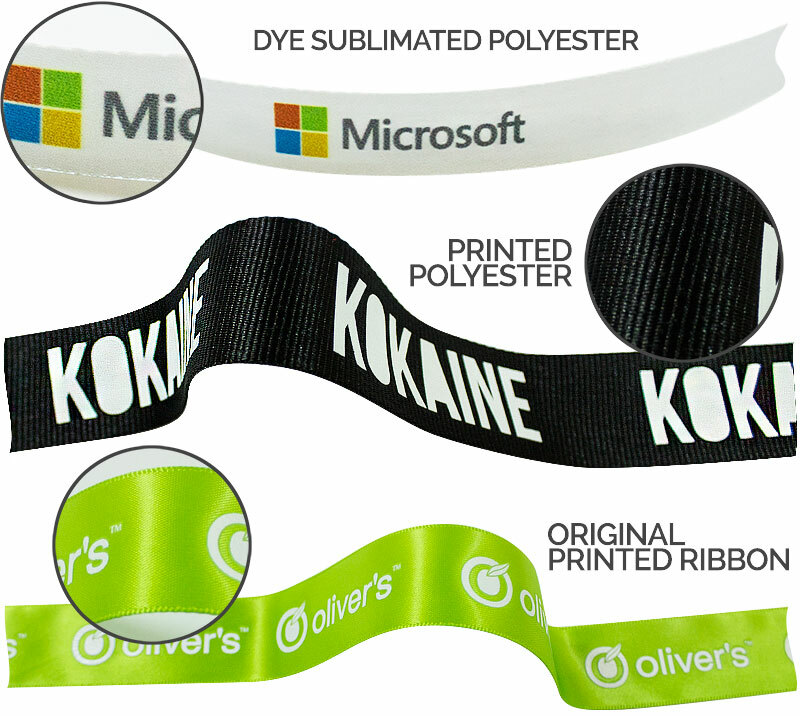 Custom printed ribbon is a colourful and creative way to make your brand more visual. When thinking about how to expand branding, many people think of large items like banners or perhaps promotional gifts such as mugs or clothing. However, sometimes it's the small things that can make a big difference to your branding. Custom printed ribbon gives you a versatile material to use in a range of ways. Available in various widths, lengths, colours and designs, you could add it to all of your packages before sending them to customers or make use of it at a company event. Custom printed ribbon has some excellent uses. If you want to personalise a range of products, events, items to give away and much more, custom printed ribbon does the job for you. Personalised packages are a fantastic way to increase the visual appeal of your brand and add value to your products. Customers love receiving a beautifully packaged order that gives them more of an experience. As well as branded stickers or thoughtful touches like packaging in your brand colours, custom printed ribbon is an excellent thing to add to your products. Whether you're wrapping something in-store or sending orders out by post, it lets you leave your mark in a special way. Another excellent use for customised ribbon is competitive events. Branded ribbon could be used for prizes, finish lines, wrapping flowers, tying to trophies, and more. Anyone from businesses to schools could create great prizes with custom printed ribbon. It's something that people can keep for a long time, even if something like a bouquet of flowers doesn't last as long. Competitions aren't the only events where you might want to use custom printed ribbon. It's also a fantastic choice when you're opening a new location, launching a product or showcasing a new project. Whether you decide to "cut the ribbon" to reveal something new or you just want something fun to decorate with, custom printed ribbon spices up your event. With printed ribbon from Dynamic Gift Promotions, you can choose your exact requirements to get a product that you love. We have different widths from 3mm to 100mm, plus various styles and colours available so that you can get the perfect ribbon for your brand. Choose a single-colour ribbon if you want to keep things simple, or explore out options for full-colour graphics and even photographic printing. You're in control of what you want, and we deliver quality ribbon to your specifications. We want to provide a top service for all of our customers, which is why we offer a rush service on custom printed ribbon. If you need a last-minute item for your event or you're about to run out of a previous order of ribbon, we can fulfil your order in just seven days. We can even deliver some products in as little as three days, and we have a free artwork service too.